Sorkins powerful, yet easy-to-use, business and government database is the answer. Sorkins provides detailed company and contact information needed to grow your business. At Sorkins 99% of our subscribers become repeat customers. Why do you think that is? Because they know - business knowledge is power. 50% more privately held companies. 100% of subsidiaries and regional offices treated with the same detail as its out-of-state headquarters. 25% more of other industries including manufacturers and financial services. NOTE: Information can be downloaded to a text file, Excel spreadsheet, or saved to Sorkins.com for future use. Sorkins treats local and regional subsidiaries with as much detail as headquarter offices. Sorkins staff is always just a phone call or email away. We are here to help our customers create contact lists and further their business research. Don't want to do it yourself ? Sorkins provides customized business and contact lists. Click on the searches below to read their descriptions. The company search generates a list of companies and subsidiaries by searching a company's name. This search generates a list of companies by searching on any combination of region, company location (state, city, street, ZIP code, county), company name, description keyword, major industry, industry specific code, sales, employees, ownership type or year founded. Search on executives' first and/or last name. The results are the executives' name, title and business. This search generates a list of executives' by searching on any combination of personnel function, hierarchy, title, region, company location (state, city, street, ZIP code, county), company name, description keyword, major industry, industry specific code, sales, employees, ownership type or year founded. This quick industry search generates a list of companies by keyword search, general industry category, or industry code (NAICS - North American Industry Classification System or SIC - Standard Industry Classification), plus sales and employees. This quick geographic search generates a list of companies by searching on any combination of company location (state, city, street, ZIP code, county), sales, or employees. Sorkins tracks various service firms that help companies do business. View customers of particular banks, legal firms or cpa firms. By searching on phone number or fax number, find a company. Since 1982, we have been the largest publisher of comprehensive business & government profiles covering Missouri, Illinois, & Kansas. Sorkins covers more companies in the region than any other business database. When you name a major city, everyone knows the largest public companies which produce well known products. There are about 4000 public companies in the country. No one else, except Sorkins covers these companies, as well as, provide the best coverage available for the other 99% of the area's economy. Our profiles are not updated by the merging of inaccurate databases or adding computer generated estimates. Sorkins is the preferred resource of Professional Firms, Financial Institutions, Cultural and Social Service Non-profits, State Agencies, Workforce Development groups, and many others. "In any business, Knowledge is Power! HRMC recognizes this and has always provided our clients with the best research tools in the industry, and that has always included Sorkins. 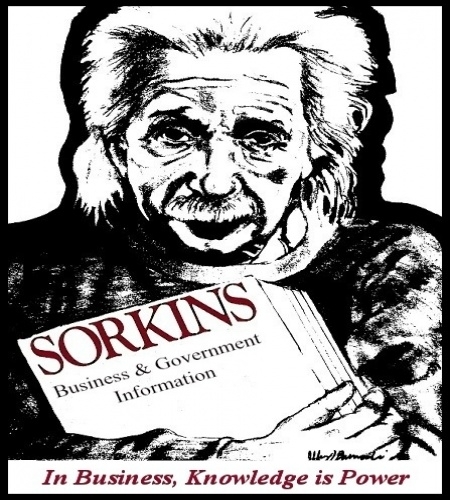 Regardless of your religion, I refer to Sorkins as the Bible of Midwest Research! As a professional career consultant, salesperson and business owner, I can sincerely say that Sorkins is one of my most valuable business tools." "99% of Sorkins.com subscribers become repeat customers"
All copyrights reserved © - Designed & Developed by UIdeck. The grow icon made by Popcorns-Arts from www.flaticon.com. Rest of the icons made by Icon Monk from www.flaticon.com. Edited and redesigned by Mia Hines.